Posts above remind me that I have some string quartet albums that need listening to. I'm on my way. Kudos backatcha! your recent Stockhausen and Modern classical finds from the library clear out have had me salivating! More St. Ockhausen. Patron Saint of avant-garde composers. And warehouse staff. Volume 3 of the mid-eastern records - it being there today seems to further confirm that the records are circulating in some way. Better in the 'ethnic' thread? Next time, perhaps. More late-60's Dutch modern-classical. It is the new rare groove! Penelope Thwaites will be the next rare groove. I got this to hear the Sculthorpe track. The Gonzalez LP was produced by Sven Libaek. And features one of his pieces! I got this last week. 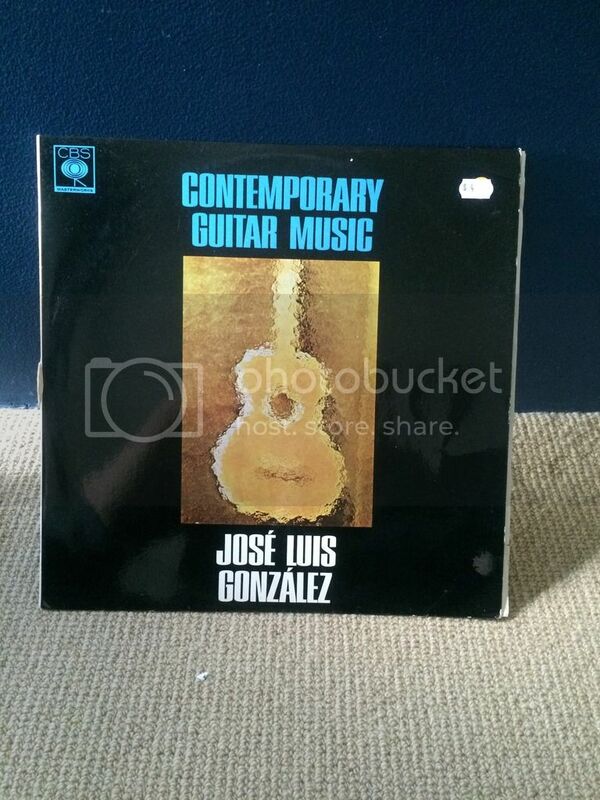 Possibly one for those who like their classical guitar (surprise!). Probably straggles both, I sometimes wonder, should I post 'Indian Classical' music in the main finds, here or the ethnic finds, doesn't matter is my unscientific conclusion. More great finds Funk who is/are the composers on the dutch one? Following that pattern Vinko Globokar would seem to be the player. But I suspect (s)he is the composer. Radio Grand Choir. Anthony Falaro played by the Utrecht Symphony Orchestra. Heinz Martin Longquich played by Radio Chamber Orchestra? Ton De Kruyf played by the Radio Chamber Orchestra. I started listening to some of my Stockhausen the other day. Early signs not good. Only the possible prospect of an easy flip prompted me to pick this up. 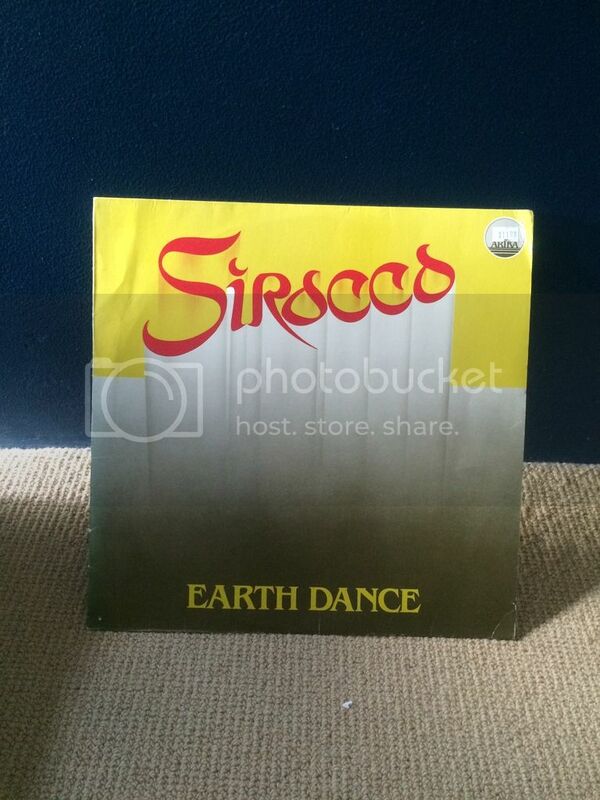 Sirocco is early 80's Oz worldmusic. I skipped it once before. It looked to have a smooth 'one world' vibe at odds with my jaded palette. And guess what? I like the Supraphon cover. Really. That simple. is/was a recommended version, relatively easy to find too. That's the US release for the DGG mono recording above. That Bartok / Solti has just been repressed btw. Sleeve is ace. 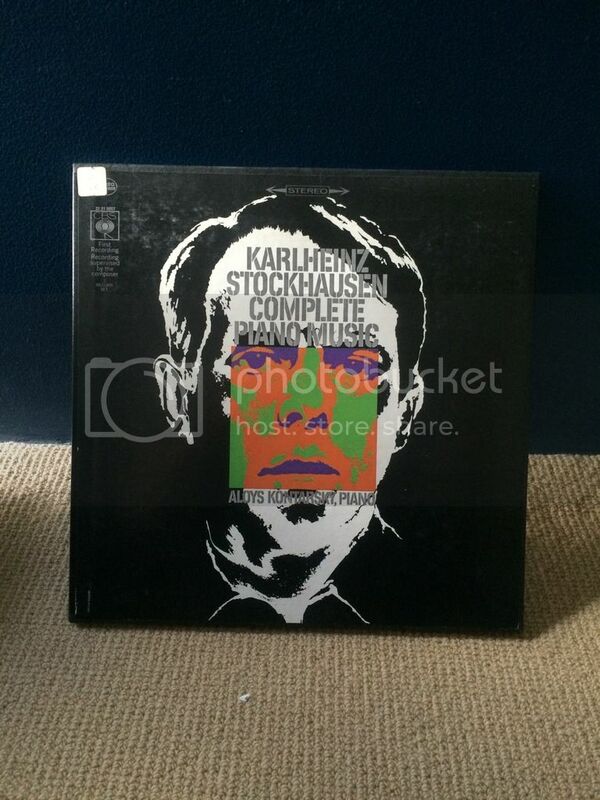 Don't have it, but been keeping an eye out to compare with the Kubelik EMI recording (and for the ace sleeve). Ah, cool, weird how these things happen was only reading this thread last night. 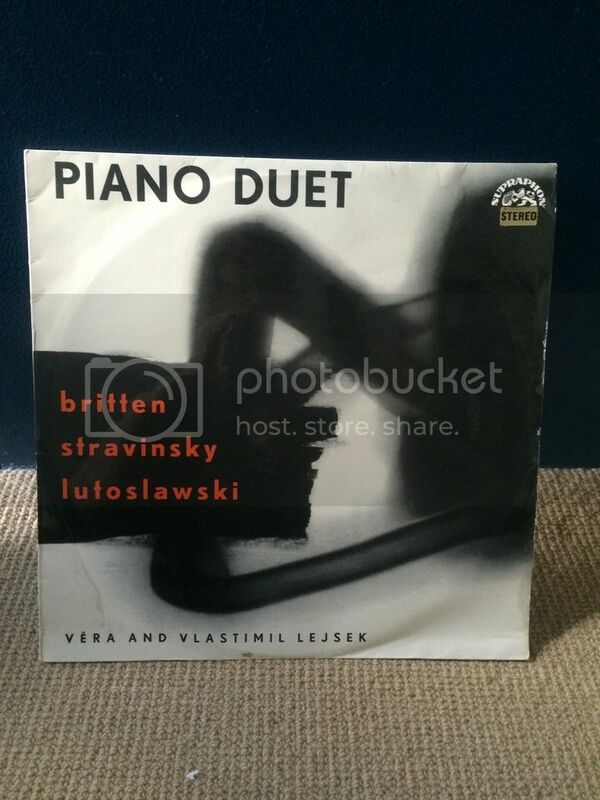 I meant to say the sleeve for the Bartok is pretty ace, drew me to it straight away. 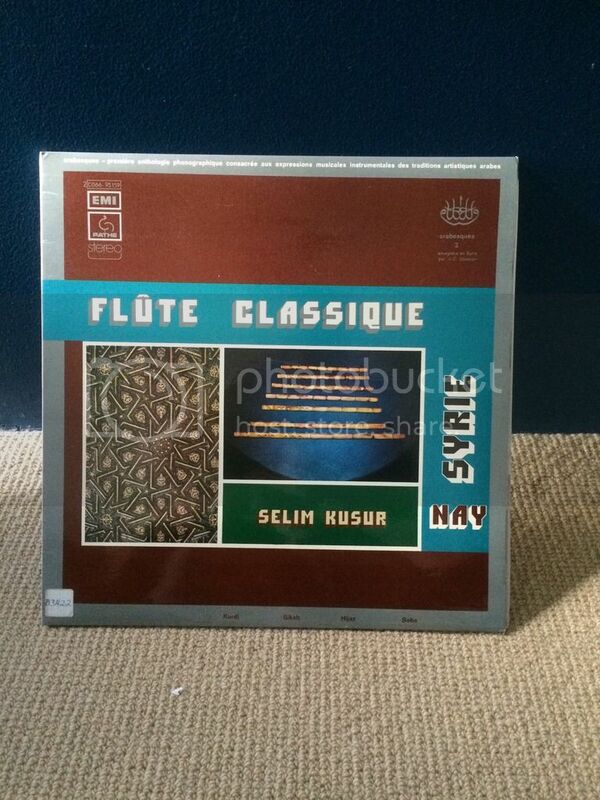 I went to the market and there was a heap of new classical but most was standard fare and in ugly condition. Picked up a couple of Argo releases too both Mozart I think and a bunch of Hammond records which don't hold out much promise. I did pick up a copy of 'Morton Gould - Jungle Drums' which probably belongs here as its more orchestral than than the jungle drumming it promises. Right so everyone knows '2001' there is a nice squidgy electronic intro which gets quite warped to this which goes on for a few mins before that melody kicks in for a few bars then it all goes a bit weird again all sorts of strange noise and weird mournful groaning from the 'Greg Smith Singers'. Then the orchestra kicks in again before more synth weirdness and the reprise. All in all side A is pretty out there. Looking forward to 'Aniara - An Epic of Space Flight in 2038 AD' with 'Swedish Radio' providing 'Electronic and Concrete Effects'. So on side one alone its a definite keeper already. So onto side 2 which starts off again all mournful and weird then some analogue synth action kicks in as if you are being beamed into outer space and once there all sorts of odd happenings occur. There seems to be radios being tuned even at one point to a station seemingly playing 'Red Indian' chanting this then all fades out to a lot of electronic noises and FX and crashes. Its then a lot of broken robotic speech effects come in and suddenly stop as what sounds like an explosion occurs. I say explosion its all very ambient as more voices and groaning is heard alongside a baby crying. Its completely off its rocker and kind of reminds me of early 'Krautrock'. Surprised its such a cheapy and I wonder what the audience made of it all if there indeed was one. The whole thing ends with vibes, piano and violin seemingly competing with each other in a minimalist manner and a dark bass line. My only gripe is despite it seemingly being clean it's got a slight bit of crackle which is slightly off putting with this kind of thing. Hopefully be able to clean it up a little. Last edited by amidar; 18-03-2016, 06:02 PM. I think that I would have skipped past that 2001. Not any more. I propose that for this thread rather than Oooof! we should have Orrrff! Lol, I second the proposal! Very Fitting. 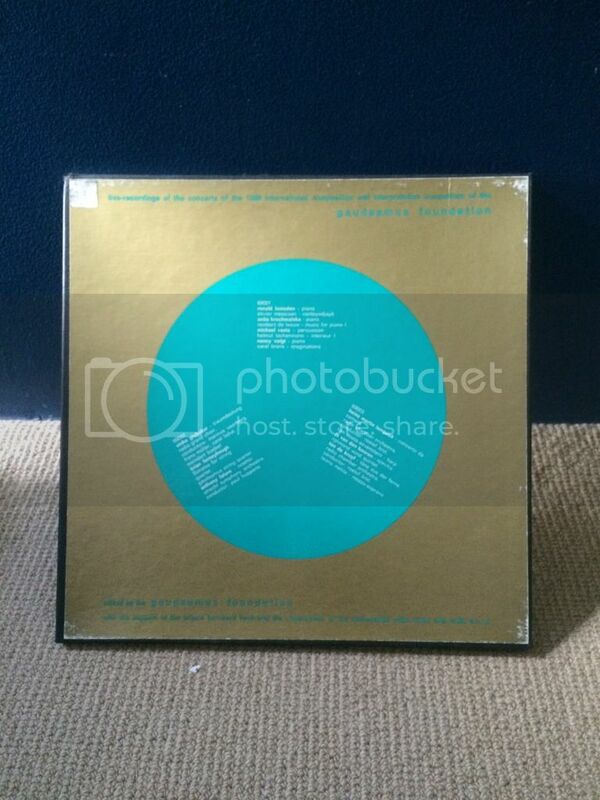 Yep '2001' there must be a hundreds of cash-in's post Kubrick by every orchestra known to man. “To Be Alone – simultaneous solos for four performers and pre-recorded tape” – Barry Conyngham (Victorian Time Machine). Here Conyngham stakes a claim in the middle ground between the ‘silence is music, so burping and laughing can be music’ and the ‘random noise is also music’ classical schools. I wonder if he revisited it. Perhaps the claim simply lapsed. “String Quartet” – Barry Conyngham (Petra String Quartet). Almost 20 minutes of this. The first 2/3 is spare and mildly unsettling. 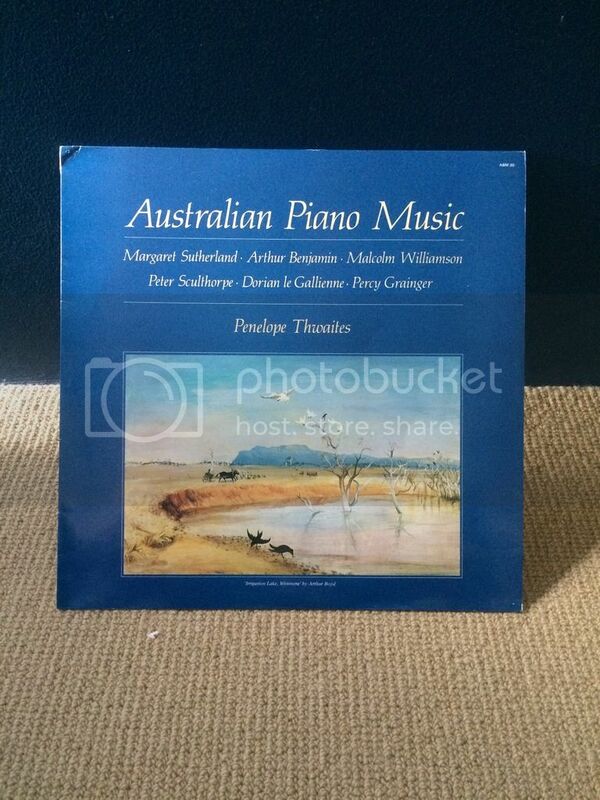 Good outback-thriller soundtrack music. Impressive. Or, it is until it becomes apparent that it is going nowhere. Towards the end of the 20 he wheels out a sort of extended Beatles ‘psych string’ riff. This works well, and he plays around with it for a few minutes. Some of the effect is lost, though, as there is an increase in what sound like barked vocal interjections. Back to the thriller vibe for a minute or so. End credits. I don’t propose to search out any more Conyngham. “Water Footsteps Time” will probably suffice. There he had a narrative (‘my trip to Japan’) that gave human interest and a sense of the authority that comes with lived experience. He had the benefit of a genre (‘steps') which would give structure without being too familiar to most of his listeners. He retains his gifts for using space and tone and texture into the later works, it is just that they are adrift.